Tour de Big Bear is pleased to invite you to Southern California's most scenic and challenging high altitude ride in Big Bear Lake! Escape the summer heat and ride spectacular 25, 50, 70 and 100 mile stages at 7000'+ with cycling amenities that other rides can only follow! SIGN UP NOW . . . This event has SOLD OUT early the last 6 years and will again this year - don't miss it! Join us this year for the Big Bear Cycling Festival . . . a FULL WEEK OF FREE CYCLING ACTIVITIES leading up to Tour de Big Bear weekend. 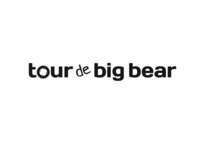 From the Big Bear Gran Fondo Mountain Bike event (July 30 - separate registratation required) to altitude training rides, bike biathlon, poker ride and post Tour de Big Bear recovery and time trial rides. Where else can you get a full week of organized riding for one entry! Watch the tourdebigbear.com and bigbearcyclingfestival.com websites for more details and the offical event schedule! Check-in for Tour de Big Bear weekend will again be on Friday (Noon - 9:00PM) at our host hotel, Robinhood Resort, and New Belgium Brewing will have a Fat Tire Beer Garden Friday and Saturday! Have a few beers and wander around the Big Bear Cycling Expo on Friday afternoon/evening and all day on Saturday and see numerous cycling releated vendors and bike companies. Specific ride related schedules/times and information will be distributed, via email and on the website, to all registered participants about 10 days prior to the event.